This program is for those people who are serious about losing weight in the most healthy and effective way, but require extra motivation and regular input and feedback. If you have found it hard to shift even just a few kilos, then this is the one for you. There may be underlying metabolic health issues that can be rectified over time. A personalised nutritional weight management program with healthy lifestyle recommendations is designed to help achieve your health and weight loss goals for the long-term. 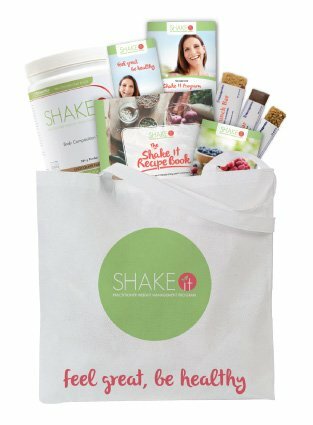 The 12-Week SHAKE IT Program is an evidence-based program with proven results. Starter kit (valued at $100) to get you underway asap!